A box that has it all – specially designed for ambitious touring skiers and racers. Combining the know-how of experienced PDG athletes and the colltex R&D specialists. In competitions, nuances sometimes decide between victory and defeat. 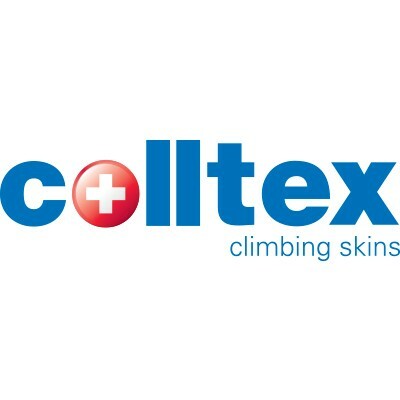 «colltex race» is made for winners: the fabric developed at the colltex laboratory – the special skin pile made of 100% mohair – offers extremely fast gliding characteristics and is 20% lighter than any other colltex skin. The ultimate skin for competitors. Length 150 cm. Racing skin with unmatched climbing characteristic. Super gliding. Particularly robust fabric. 100% Mohair. Perfect for steep, hard, and icy climbs. Prevents back sliding. Reduced effort. Extreme grip. With adhesive competition layer. Specially developed for PDG. Only 98 g. Length 150 cm. Impregnating agent for natural and synthetic skins. Effective against snow build-up; improves gliding characteristics. A multifunctional bonus gift by colltex.